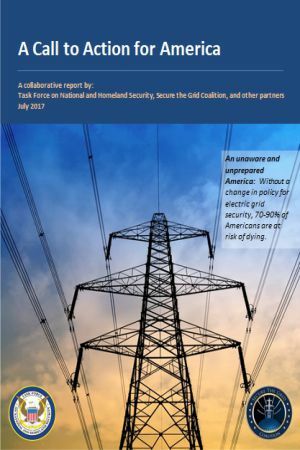 Report: U.S. Electric Grid 'Inherently Vulnerable' to Sabotage | Secure the Grid Don't let the lights go out in America... Get smart and take action!... Learn the facts and what to do in A Call to Action for America. 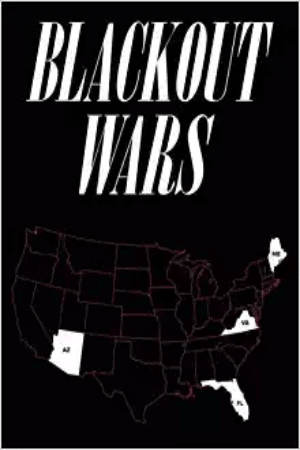 From the Washington Free Beacon: Electric grid compounds across the country have faced an uptick in unauthorized intrusions by unknown individuals, causing concern that the U.S. grid is “inherently vulnerable” to widespread sabotage, according to a recent oversight report issued by New Jersey’s Regional Operations Intelligence Center (ROIC), which monitors the threat level. 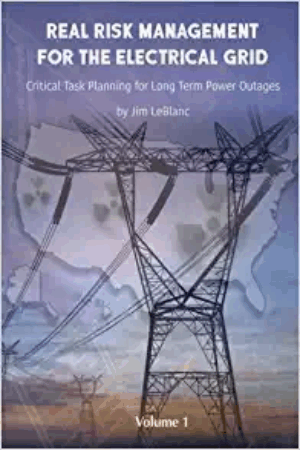 Following at least eight “reports of intrusions at electrical grid facilities in New Jersey” from October 2013 until January 2014, the ROIC’s Intelligence & Analysis Threat Unit issued a report warning that the U.S. electrical grid is “inherently vulnerable” to attacks that could wipe out power across large swaths of the country. The ROIC report, released in late February, is marked as “unclassified” but designated “for official use only.” New Jersey State Police Spokesman Trooper Jeff Flynn confirmed that a report of this nature had been commissioned by ROIC when contacted by the Washington Free Beacon. 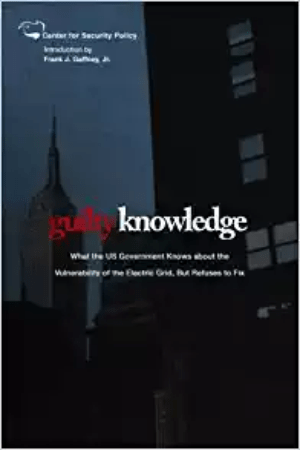 The multiple incidents of “sabotage” and crime outlined in the report “highlight the grid’s vulnerabilities to potential threats,” according to a copy of the report obtained by the Free Beacon. U.S. officials and experts have increasingly warned over the years that the electrical grid could be a prime target for terrorists or others seeking to damage the country’s infrastructure and disrupt daily life. The concern is that many of the incidents outlined in the ROIC report could be a sign that preparations are under away for a larger, coordinated attack on the grid. Highly sensitive areas of the electrical grid were found to be lightly monitored, leaving them vulnerable to attack, according to the report. “The electrical grid—a network of power generating plants, transmission lines, substations, and distribution lines—is inherently vulnerable,” the report said. While the incidents are greatly concerning to security officials—and remain mostly unresolved—the ROIC “currently does not have enough information to classify the New Jersey incidents listed [in the report] as indicative of pre-operational activity or connect them to a pattern,” according to the report, which does not discount this possibility. 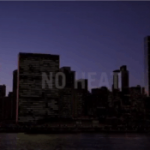 However, the incidents of grid tampering are not isolated to New Jersey. Authorities suspect that the goal was “sabotage rather than vandalism” due to the “deliberate manner of the bolt removal, including probable acquisition of the requisite tools,” the report said. In April 2013, “unknown subject(s) fired multiple shots at an electrical transmission substation” in San Jose, Calif., “damaging several transformers,” the report notes. Surveillance video of the incident shows sparks flying across the compound as bullets strike the substation. In October of that year, “the subject cut into two electrical poles and used a tractor to pull them down, cutting power to thousands of customers,” according to the report. While the incidents in San Jose received widespread media attention, several of the others did not. New Jersey has experienced eight separate incidents of a similar nature since last year. On Jan. 26, for instance, “employees found a hole, approximately three-foot high by two-foot wide, in the perimeter fence of an electric switching and substation in East Rutherford,” according to the report. Other incidents include break-ins at certain electrical stations and the theft of various on-site materials. 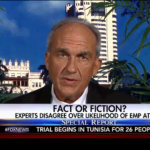 Counterterrorism expert Patrick Poole warned that these attacks could be a “test-run” for a larger act of sabotage. The ROIC report outlines several types of suspicious behavior that authorities should be on the lookout for. 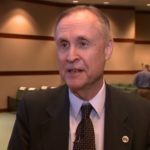 The goal is to reach “potential conclusions to solve potential problems we have in state,” Flynn said in response to questions about the report.